The established heroes of the taday’s indian film industry command fabulous sums for their roles.aamir khan is reported to have signed a film for 5 crores. however in the early days of the film industry stars like prithviraj kapur, k.l.sehgal, kidar sharma, punkuj mullik, k.c.dey etc. were all paid employees of new theatres of calcutta. similarly were the stars of famous cine, bombay talkies, filmstan. Dilip Kumar also started as a paid employee of bombay talkies. 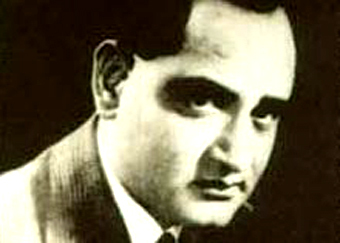 Ashok kumar who was a lab. assistant got catapulted to be a hero against devika rani and his salary was raised from rss.60/- to rs.150/- p.m. manto who was his hut mate in the compound of b.t.studios in malad has narrated in ‘ganje frishte’ how asokh was worried to hide this wealth the day he got his first salary as hero. in the night he kept the currency under the four feet of his charpoy. next day manto took him to a nearby bank branch to have his account opened. miss Kajan and master Nissar were the leading pair of the silent era of our films. if i remember aright Kajan once appeared in public in a sari stitched all over with hundred rupees currency notes. both she and master Nissar owned a rolls royce each which was considered the ultimate luxury in those days. I don’t know about kajan but master nissar died in utter poverty. at one time sahir ludhianvy helped him in getting an extra’s part. bhagawan , producer/director of box office hit ‘albela’ in which he appeared as hero against geeta bali was cremated at public expense. alcholism has claimed many of our well known stars prominent among those were Chander Nohan (jehanghir of sorab modi’s ‘pukar’), K.L.Sehgal, Meena Kumari. 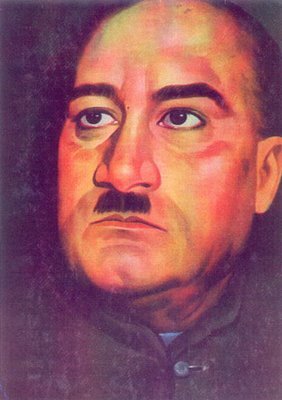 Both Pandit Nehru and Maulana Azad , the prime minister and education minister of free india had a soft corner for Josh malihabadi. to provide him with a job an urdu monthly ‘ajkal’ was started by the publication division, govt. of india and josh was appointed as its editor with sagar nizami and balwant singh as asstt. editors. it was a sine cure post for him. he would go to office at his liesure where his friends would gather in his room, have tea and gup shup. Josh had been the only person in the annals of govt. of india who used to draw pay from three different sources as stated by kunwar mohinder singh bedi in his autobioghraphy, ‘yadoN ka jashan’. these three sources were provided to him by maulana azad when josh would go to him to increase his salary as he was always under debt and the sources were: editorship of ‘aajkal’; visiting professor of urdu in the central universities of aligarh muslim univ. and (aasifia )univ. hyderabad. josh was a reluctant migrant to pakistan. this he has clearly stated in his ‘mera marsia’ . marsia is said after a muslim’s death but he wrote it himself in his life time. a couplet in it says ‘zan-o-farzand ki vabastgi ne watan si shai ko mujh se chhoraya’. he also began to write himself as ‘josh marhoom’. This entry was posted on Friday, October 21st, 2011 at 7:39 am and is filed under On Art and Sort. Tagged: Anecdotes, Bollywood and money, bollywood memories, Cinema of India, Dilip Kumar, Josh and Nehru, Kajan, Mumbai talkies, secrets of bollywood. You can feed this entry. You can leave a response, or trackback from your own site. « What would Charles Bukowski say about #occupywallstreet ?